When Eastman Kodak unveiled the Brownie camera in 1900, it was a cardboard box with a lens and a roll of film. As basic as it was, it was revolutionary in democratizing photography. In those days, buying a camera was simple. Fast-forward more than a century later, and modern cameras are so diverse and so advanced that buying one is akin to shopping for a car. Like cars, there are a ton of choices, but nailing one down that’s right for you is another challenge, especially if you’re buying one online or from a big box store with less than helpful clerks. Whether you are looking to buy an entry-level point-and-shoot for your kids or the top-of-the-line digital SLR with the latest bells and whistles for yourself, it’s definitely not a one-model-fits-all kind of decision. Prices can start as low as $100 and climb as high as several thousand. Even at a single price point, you’ll find numerous types of cameras with different models from various manufacturers, and being able to tell one from the next isn’t always easy. It’s in your best interest to do a little research to find out exactly what you are looking for. It can be daunting, but never fear: Our ultimate digital camera shopping guide will help point you in the right direction. Designed for new camera buyers and those looking to step up to an advanced model, we’ve broken this guide down to the most-asked questions. What type of camera should you buy? In general, there are three types of digital cameras: compact/point-and-shoot, mirrorless interchangeable lens, and digital SLRs (DSLRs). 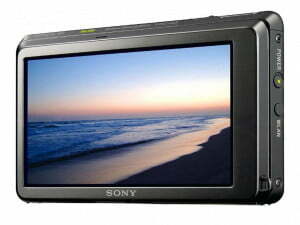 (There are other specialty cameras, but for the purpose of this guide, we will concentrate on these three.) The good news: Everything falls more easily into place once this key question is answered, as it narrows down your choices quite a bit. Point-and-shoot cameras run the gamut: they can be compact shooters that are affordable, simple to use, and pocket-size portable, or more robust pro models with longer zooms, better sensors, or full manual exposure controls. While some entry-level point-and-shoots can be found in the $100-$200 range, these typically won’t offer image quality that’s noticeably better than a modern smartphone. They will, however, offer features phones usually don’t have. Look for zoom lenses, rugged features, large sensors, and any features that stand out. Bridge-style megazooms start at around $200 and can go up to $500 or more. Megazooms are so named for their long zoom lenses, which start at a wide-angle and zoom in to a long telephoto (they are also known long-zoom or super-zoom). This gives you a lot of shooting flexibility in a relatively compact package. The bigger and more expensive megazooms, also known as bridge cameras, offer longer lenses and are full-featured models with DSLR-style bodies. Note, though, that many of these models still have the shooting performance and photo quality of a compact camera, due to their small sensors. A few higher-end models have larger one-inch sensors, but come at a premium price point. Compact travel zooms offer some of that zoom flexibility, but in a smaller body. These compacts have zooms that are closer to 20x than 50x, but they are also easier to lug around because the body style is more compact than the DSLR-like body of megazooms. For better quality, an advanced compact is the way to go. Look to cameras that use a 1-inch-type sensor, which start around $500 but can cost as much as $1,500. These bigger sensors record more light than the smaller units found in cheaper point-and-shoots (and phones, for that matter) and produce higher quality images as a result. The downside is that a larger sensor makes everything else about the camera, from the body to the lens, also larger, although engineers have figured out ways to keep things as compact as possible. While a one-inch sensor used to mean a 3x to 4x zoom, new technology has allowed for 10x zooms and even higher in front of those larger sensors. 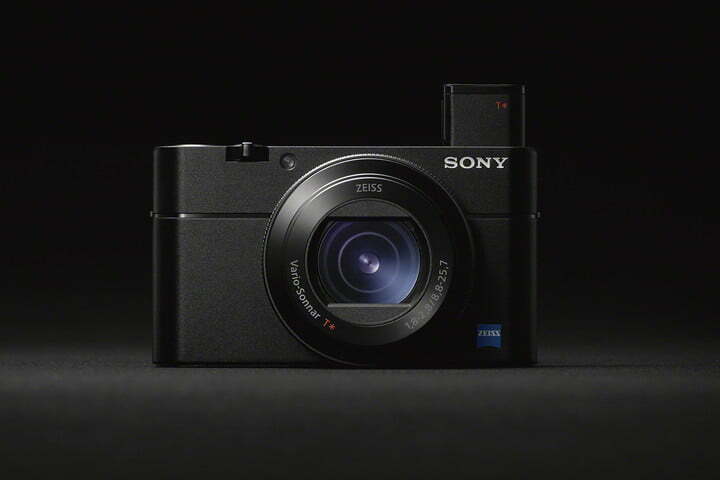 Sony started the move toward 1-inch sensors with its RX100 series, and other manufacturers have followed suit. While megazooms and advanced compacts can capture what a smartphone can’t, another category focuses on going where smartphones can’t (and yes, they do tend to have additional features and better images too). Waterproof compacts can handle a day at the beach, a dive in the ocean, or a drop down the toilet (making the category a good option for parents). They don’t have the zoom or the larger sensors of the megazooms or advanced compacts, but they do offer peace of mind while snapping photos in places you wouldn’t dream of bringing an expensive camera or smartphone. You’re probably aware point-and-shoots’ popularity has waned considerably. With the advancements in smartphone cameras, basic point-and-shoot cameras are no longer attractive to the masses. Instead, this category is now niche, but with models that still appeal to select groups of photographers. This category of cameras offers superior image quality, more creative options, and faster performance than point-and-shoots, without all the bulk of a DSLR — mostly. Mirrorless cameras tend to be pricier than compact cameras, but the entry level models are often cheaper than the high-end $1,000-plus compacts with larger sensors. 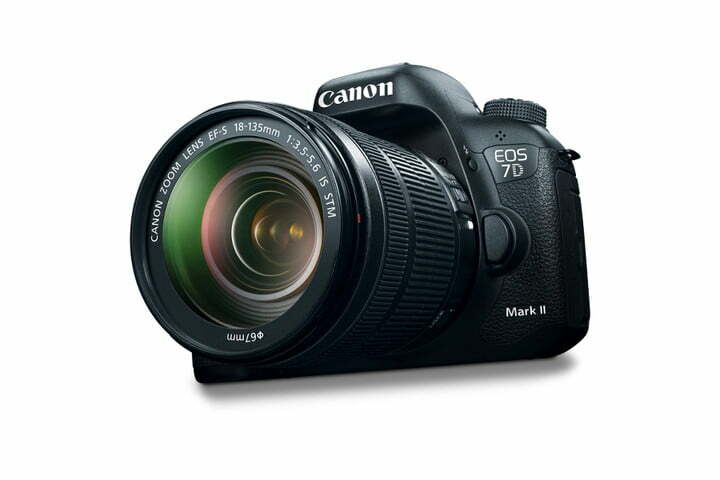 When we used to talk about interchangeable lens cameras, it meant one thing: DSLR. Today, mirrorless cameras offer a popular and, in some cases, better alternative. So named because they have removed the bulky mirror and optical viewfinder systems of DSLRs, mirrorless cameras allow for smaller, lighter weight designs – not to mention a blend of ease-of-use and advanced shooting. Early mirrorless cameras were marred by slow performance, but they’ve since caught up to rival DSLRs in most aspects. 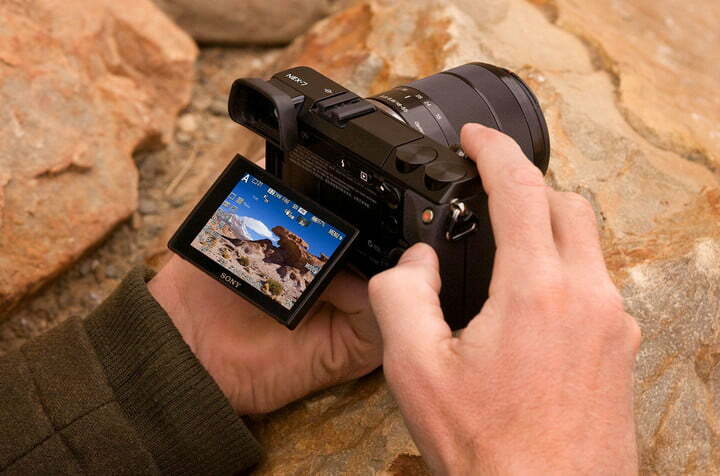 There are different formats of mirrorless camera employed by different brands. Panasonic and Olympus share the Micro Four Thirds (MFT) format, meaning you can use Panasonic lenses on an Olympus camera and vice versa. Fujifilm uses the larger APS-C sensor for its X-series, and Sony makes mirrorless cameras with both APS-C and larger full-frame (35mm) sensors. Canon and Nikon are heavyweights in DSLRs, although they, too, offer mirrorless options. (The Nikon 1 line, however, hasn’t been updated in some time.) All of these ILC cameras allow you to attach a huge variety of lenses, ranging from wide angles suitable for landscape photography to long telephoto zooms for sports and wildlife. Prices for mirrorless models start at around $500 and can go up to several thousand (Hasselblad introduced its first mirrorless medium-format camera, which can cost more than $10,000). Typically, models with larger sensors are more expensive, although this is not always the case. As with compact cameras, the larger the sensor, the larger the camera. 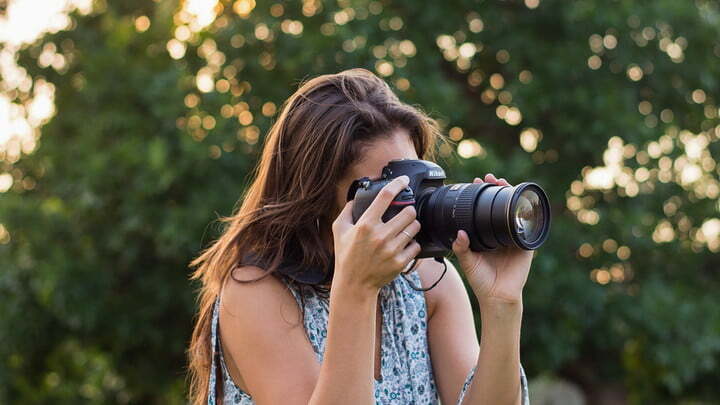 DSLRs cover the same price range as mirrorless cameras, although the very top-of-the-line models push above $5,000 (minus a lens), well beyond any consumer-oriented mirrorless camera. DSLRs cover the gamut from consumer to professional. An entry-level consumer DSLR will offer much better image quality compared to a compact camera because of a large sensor, but won’t offer the speed and extras of a pro-priced DSLR. If the size doesn’t bother you, $500 on a basic DSLR will go farther than a $500 compact, at least in terms of image quality and longevity. DSLRs don’t necessarily offer better image quality or more versatility than a mirrorless model, but they do have some other benefits. By and large, professional photographers still prefer DSLRs even as mirrorless cameras have made considerable advances in recent years, particularly those who have invested money in lenses. This comes down to a few key features. First, autofocus performance is generally faster and much better at tracking moving subjects. For action and sports photography, a DSLR still can’t be beat – although mirrorless cameras are getting closer. Second, for many photographers, there’s simply no substitute for a good ol’ optical viewfinder. Optical viewfinders provide a clear view of your subject in any lighting conditions, and don’t have any image lag as do electronic viewfinders on mirrorless cameras. Again, this is especially handy when shooting fast-moving subjects. Third, DSLRs, mostly thanks to their optical viewfinder, have significantly better battery life than mirrorless cameras. Even professional-level mirrorless cameras top out around 400 shots per charge. A good DSLR can push 1,000 shots. For long shoots, camping trips, or any other time when charging a battery may be impractical, a DSLR has the advantage. Finally, there’s build quality. While many mirrorless cameras today offer weather sealing and solid construction, nothing beats a high-end DSLR for ultimate ruggedness. Keep in mind, though, that we’re talking about cameras in the $2,000-and-up price range here, so that durability comes at a cost. The biggest downside of a DSLR is the bulk. Compared to mirrorless cameras, DSLRs are bigger and heavier (although, depending on the lens used, mirrorless cameras can get up there in weight, too). They also tend to perform slower in live view mode (where the image is framed on the LCD screen instead of through the optical viewfinder). 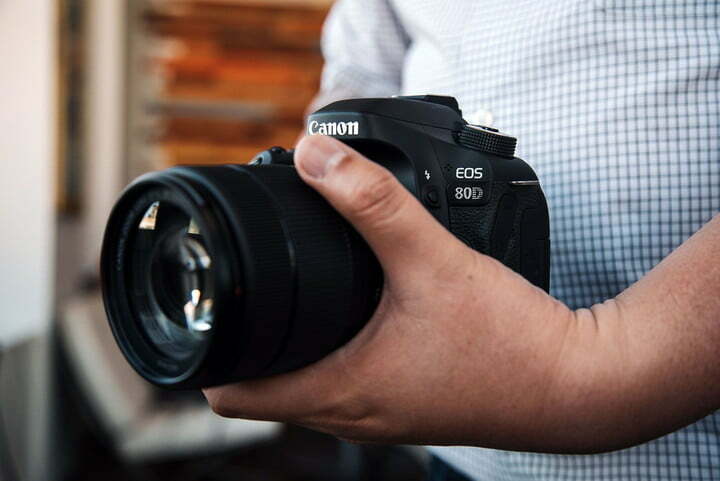 This can make them worse off for video shooting compared to a mirrorless camera, although certain models, like Canon’s EOS 80D, are quite good in this regard. Ideally, you don’t have to spend a fortune to find the camera that is right for you, but as the saying you goes, you get what you pay for. It’s important to consider what you need, though: Many models that are priced higher are loaded with features that you might never use. With smartphones taking such good photos these days, it’s difficult to recommend buying an entry-level point-and-shoot, unless you need it for a specific purpose. For better image quality, plan to spend at least $500, but you can certainly get away with less if you just want more versatility than what your phone offers. An expensive camera won’t make you a better photographer. Yes, but these days, most cameras are sufficiently fast. Interchangeable lens cameras, whether mirrorless or DSLR, typically offer better performance than compact cameras. They will focus faster, track subjects better, and take more pictures per second. Speed is one that’s particularly important to pay attention to when buying a budget camera, since they tend to suffer from slower performance. Look for a camera with at least 5 fps, but if you’re shooting action like sports or active kids, look for something even faster. Cameras with lower resolution have files that process faster, so remember it’s easier to find a fast, low-resolution camera and harder to find a fast, high resolution camera. Ergonomics is another key element. Try before you buy. Make sure a camera fits comfortably in your hand and that it’s not so heavy that you won’t want to carry it around with you. The camera you buy should offer quick accessibility to the most commonly used functions, and menus should be simply structured, logical, and easy to learn. Touchscreen models allow for greater ease-of-use, but at the same time can be frustrating if the controls and menus are poorly organized or the screen can’t be calibrated to your touch. Much of this is subjective, so we recommend getting hands-on with different models if you have the opportunity to do so. DOES A HIGH MEGAPIXEL COUNT GUARANTEE GREAT IMAGE QUALITY? If you simply read camera spec sheets, you’ll see that point-and-shoots and DSLRs in some cases have similar megapixel counts (16MP, 20MP, and so on). However, this is like saying a Ford Focus is the same as a Lamborghini – while both may be cars with four wheels, overall performance and quality between the two are very different. The same holds true with point-and-shoot digital cameras versus DSLRs. Again, compact cameras use much smaller imaging sensors. Although most cameras with small sensors will do a good job for things like sharing pictures online or making small prints, by cramming so many megapixels on a small chip, noise (the digital equivalent of film grain) can be a problem, especially in low light. Interchangeable lens cameras have much larger sensors, meaning you’ll encounter less noise in low-light situations and better picture quality overall. This will allow you to shoot in more dimly lit conditions without a flash, with less image degradation. In addition, if huge prints are in your future — or extensive cropping — interchangeable lens models will make you happier. In short, don’t judge a camera solely its megapixel count. The physical size and quality of the image sensor along with the corresponding optics play a much bigger role in image quality than megapixels alone, so don’t be fooled into thinking more megapixels will produce better photographs. A small sensor allows a camera to be compact and portable, but you sacrifice a bit in image quality for the convenience. DSLRs with larger sensors take better photos, but even the most compact DSLRs are bulky. Hence the growing popularity of mirrorless cameras; they use larger sensors, but are generally smaller in size than DSLRs. The megapixel count matters if you’re looking to print or crop large images, but, as we’ve said, that has nothing to do with the quality of the image itself. WHAT’S THE BIG DEAL ABOUT SWAPPING LENSES? There are several attributes that differentiate a camera from good to great, and one of them is optics, or the lens. As advanced as the internal components may be, a camera is nothing without its glass eye. As we’ve mentioned, the appeal of an interchangeable lens camera is just that: they not only let you tailor your system to meet your photography needs, but also give you more shooting options. While some point-and-shoot cameras on the high-end have very good optics, they can’t compete with the versatility of interchangeable lenses. Most interchangeable lens models are typically sold with a basic 18-55mm lens, called a kit lens. From there you can go crazy, spending a small fortune on a variety of interchangeable lenses: wide-angle, super telephoto, and macro, to name a few. Nikon, Canon, and Sony are well known for their lens quality, but other manufacturers often include equally high-quality lenses from respected lens suppliers such as Leica or Zeiss. These lenses use better glass than point-and-shoots, adding to overall quality advantage of DSLRs and mirrorless models. 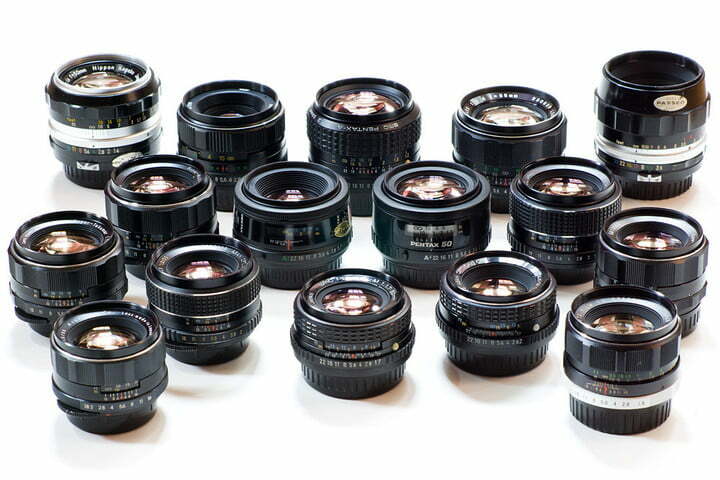 Note that, despite the name, not all lenses are interchangeable with any camera. For example, Canon lenses are designed to work with Canon cameras, and not Nikon or Sony. The exception to this is Micro Four Thirds where, again, Panasonic lenses can be used on Olympus bodies, or the other way around. It is possible to adapt one brand of lens to a different brand of camera in some cases, which is most commonly used for putting a DSLR lens on a mirrorless camera body. While advanced adapters are out there that provide autofocus control, the performance is usually much slower compared to the lens used on its native system. Therefore, you’re typically better off buying a lens designed for your camera. WHAT’S THE DIFFERENCE BETWEEN DIGITAL AND OPTICAL ZOOM? Like megapixels, manufacturers frequently throw around big numbers relating to digital zoom. And like megapixels, you should ignore them. Optical zoom uses real optics to get you closer to your subject, while digital zoom is essentially the same as simply cropping an image after the fact, but then blowing it up to fill the original size. Digital zoom captures no more detail, and therefore results in a softer overall result. As optical zooms have increased significantly in recent years, fewer and fewer manufacturers are making a fuss over digital zoom. However, when you see it advertised, it’s best just to ignore it. Optical zoom is worth paying more for, digital zoom is not. WHAT’S THE DIFFERENCE BETWEEN OPTICAL, ELECTRONIC, AND SENSOR-SHIFT STABILIZATION? Optical image stabilization, or OIS, helps eliminate blur from your photographs by physically shifting either elements within the lenses. OIS is especially helpful with long-zoom lenses. Although different companies use varied (very sophisticated) techniques to make it happen, they’re usually quite effective, and don’t produce any real drawbacks besides a higher price for the lens. 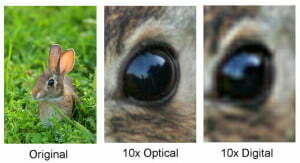 The other benefit of OIS is that it’s calibrated to each individual lens that employs it. The downside is that many lenses, especially fast prime lenses, often don’t have it at all. 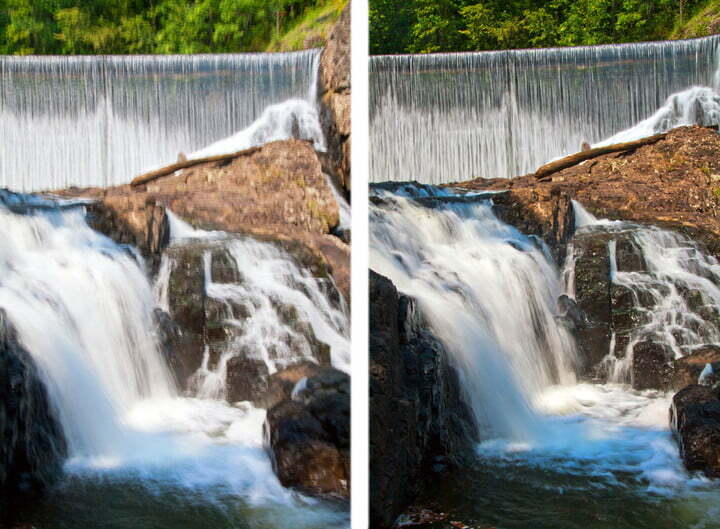 Electronic image stabilization (EIS), by contrast, is a camera trick. While it might capture a less blurry picture, it often does so at the expense of reduced image quality. Always opt for optical image stabilization, which is fortunately quite common today. Sensor-shift stabilization (often called in-body image stabilization, or IBIS), is not the same as electronic stabilization. A camera with IBIS physically moves the sensor in response to vibrations, making it much more akin to optical image stabilization. The difference is that the sensor is the part moving, rather than an element in the lens. It typically performs very well and has the benefit of working with any lens. WHAT SHOULD I LOOK FOR IN AN LCD DISPLAY? Camera manufacturers market display size quite prominently because it’s easy to visualize, but other factors also come into play. Resolution (usually measured in the number of dots, like 960K) will determine how clear the display looks, and brightness will help determine whether it gets washed out when shooting outdoors. Most cameras have about as large a screen as they can fit nowadays, usually in the range of three inches, and all are going to decent resolution. Different display technologies, like OLED, will be brighter and look better, and are crucial if you’re shooting video. The other thing to consider are touchscreens. Not all cameras have them, and not all cameras need them, but they can come in handy. Touchscreens on mirrorless cameras are great for selecting a focus point, or even triggering the shutter. On any camera with one, a touchscreen can simplify the process of navigating menus and provide a smartphone-like way of swiping through images in playback mode. 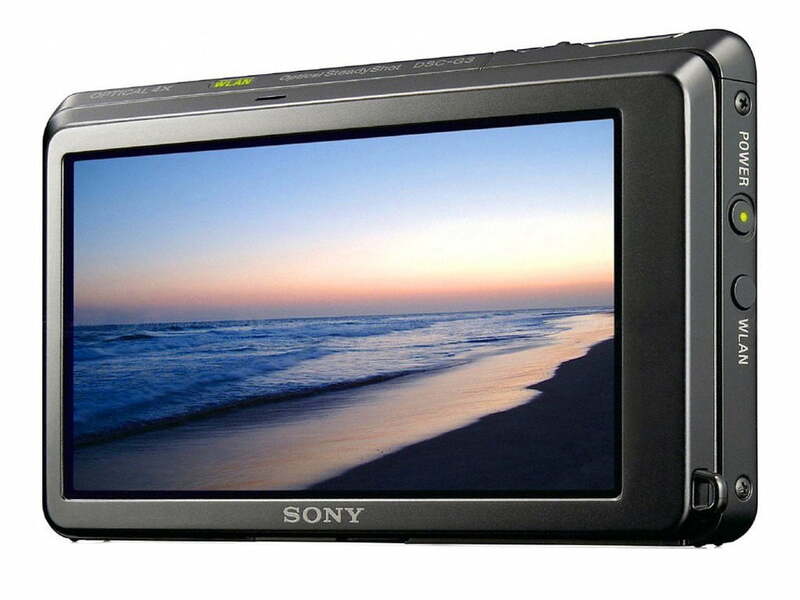 A viewfinder certainly has its advantages, and photography enthusiasts still prefer them over using a LCD screen. 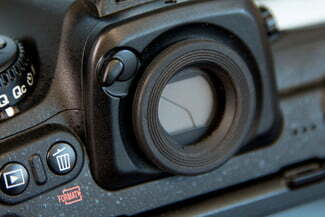 DSLRs utilize an optical viewfinder (the image reflected from the mirror), while mirrorless cameras use an electronic viewfinder (EVF), which is essentially a tiny LCD with an eyecup. 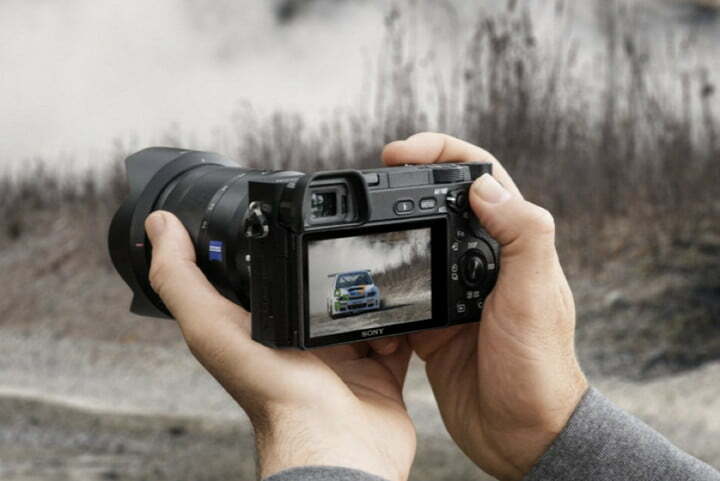 Most point-and-shoot cameras don’t have EVFs, as they do add to the camera’s size and weight, but some high-end models do, such as the Sony RX100 series. As mentioned, it’s difficult to find a new entry-level compact camera with a usable viewfinder, but casual users most likely won’t miss it. All cameras shoot video these days, and many even record at 4K Ultra HD resolution. High-end mirrorless and DSLR cameras offer video features that are even suitable for cinematic filmmaking, as well as increased creative options from the choice of lenses available. Along with looking at resolution, consider the frame rate. A 30 fps frame rate is good, a 60 fps is excellent. Low frame rates create a choppy video — some manufacturers add 4K but at a not-so-good 15 fps just so they can put 4K on the box. Any camera, from point-and-shoot on up, will provide decent video for casual uses, but perhaps the most important feature for good video is stabilization. If you don’t want to carry a tripod around, make sure you have a camera with in-body image stabilization or a lens with OIS. This will help ensure smooth, non-jittery footage for your handheld video shots. WHAT ARE SOME OTHER SPECS TO LOOK OUT FOR? Entry-level point-and-shoot cameras usually offer a plethora of shooting modes, but all of them are just takes on the basic automatic mode. If messing with a camera’s aperture, shutter speed, and ISO isn’t your cup of tea, then this is okay. However, advanced compacts and interchangeable lens models will offer significantly more control over your images with manual exposure modes. These cameras still include auto modes, so if you’re not ready to turn autopilot off quite yet but think you might want to try your hand at flying in the future, look for a camera that offers manual control. JPEG is the de facto standard for images pretty much everywhere. If you’ve ever looked at a picture on the internet, chances are it’s a JPEG. Most cameras shoot straight to JPEG by default, and for most people, that’s just fine. 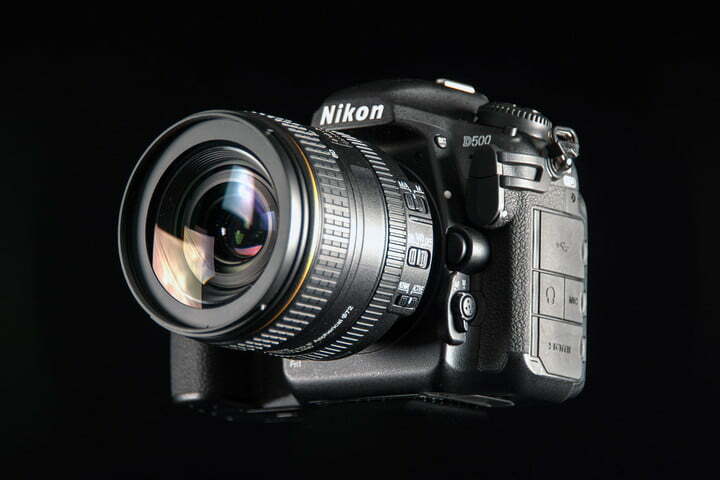 Higher-end cameras, especially interchangeable lens models, offer the ability to shoot in RAW, however. RAW images record the full information from your camera’s sensor, without throwing any data away (known as compression) like JPEGs do. They won’t necessarily look better out of the camera, but they provide quite a bit more flexibility for anyone who wants to work with their images in post-production. Shadows can be brightened, highlights can be turned down, color balance can be changed completely — RAW opens up a new world of editing possibilities. All that extra image information comes at a cost, however. RAW files are typically four-times larger than a high-quality JPEG. If you plan to shoot in RAW, make sure you have a large memory card and plenty of hard drive space. Editing RAW images also requires a faster computer than what’s needed for JPEGs, so keep that in mind, too. Wi-Fi is almost a must-have feature on a modern camera, given the prevalence of social media. If you want to be able to share your image straight to Instagram or Facebook without plugging your camera into your computer first, then don’t buy a camera that doesn’t have built-in Wi-Fi. Most manufacturers include it in most models these days, and each has their own iOS or Android app for connecting the camera wirelessly to transfer images. The apps usually are basic, but they get the job done. As for GPS, this isn’t an obvious necessity for most people. If you do a lot of traveling, GPS is nice for geotagging your pictures so you can easily know where each was taken. Not many cameras have the feature built in, but most manufacturers have optional GPS add-ons if you want to add the ability. Whether built-in or not, keep in mind that when GPS is active, your camera’s battery will drain significantly faster, so don’t use it when you don’t need it. First off, let’s clear up some confusion: a camera that is weatherproof, rainproof, or splash-proof is not waterproof. A weatherproof camera implies that all the seams and buttons have been sealed to keep out rain, mist, and light splashes, but it won’t survive if submerged. A waterproof camera, on the other hand, is designed to be taken underwater. If you shoot landscapes in the rain, you want weatherproofing. If you want to take pictures while snorkeling, you want waterproofing. Many high-end mirrorless and DSLR cameras are weatherproof, which makes them suitable for a wide range of outdoor photography. A little rain or snow won’t damage them, nor will the mist of a waterfall or the splash of a small wave over the bow of a boat. Lower-end interchangeable lens cameras are usually not weather sealed, however, and this is a feature that may not always be immediately clear. When it doubt, ask someone. Another thing to keep in mind: If your camera is weatherproof, but the lens is not, you could still be in trouble. Waterpoof cameras are a particular subset of point-and-shoot. They also tend to be shockproof, so if you drop them while on a hike, they’ll survive. Typically, they offer inferior image quality to even entry-level, non-waterproof compacts, but that’s a sacrifice most are willing to make in exchange for durability. Waterproof cases exist for interchangeable lens cameras, but these are often as expensive as the cameras themselves. You’ve probably seen some of these on Shark Week. If you are on a limited budget, say $300 or less, really think about whether you need a standalone camera at all. If you buy one, make sure you’re going for features (zoom lens, waterproofing, etc.) 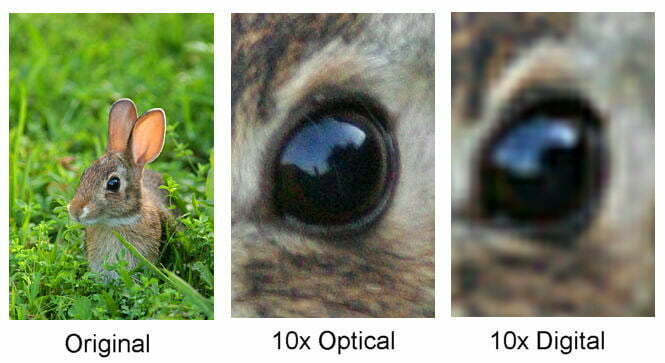 that your smartphone doesn’t have, and don’t expect significant image quality gains. If your budget is a little higher but you want to stick with something simple, consider an advanced compact camera with a 1-inch-type sensor. Should you decide fast response and better quality are what you seek, or are interested in photography as hobby or profession, it’s time to purchase a mirrorless camera or DSLR. Entry-level models can start at $500, while options with more features and speed often double or triple that. While these cameras are more expensive, they provide much more room to grow into them. Remember, it’s all about finding the camera that’s right for you. Be the first to comment on "From DSLR to mirrorless and compact, here’s how to choose a camera"